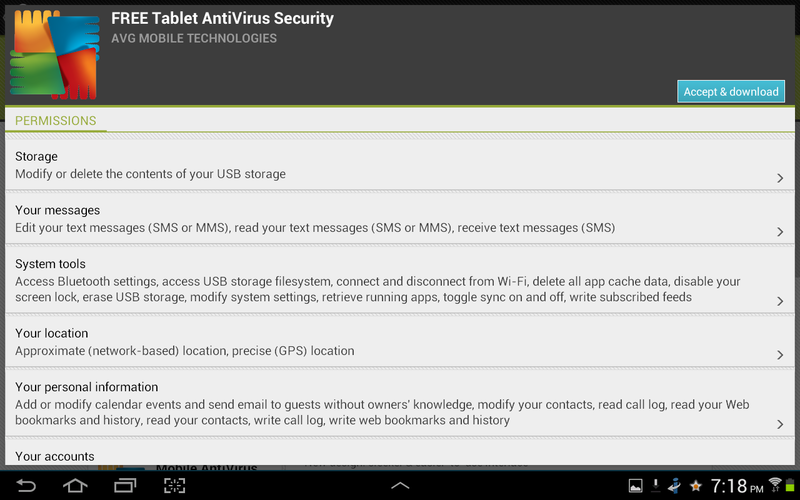 Locking your Android device from unauthorized access is an essential security option to set up. A four digit pin is the most common device lock option, but Android has several other locking options. The link below to the Droid Life site explains the different device security lock options. Always download apps from the Google Play store. Google Play has a service called Bouncer that scans all the apps in the store to verify the app is clean and free of malicious content. 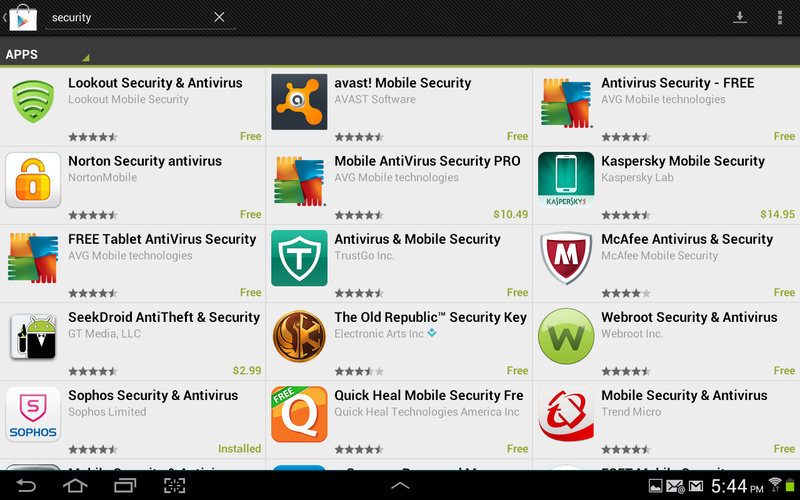 Side loaded apps from other sources could be wrapped with malicious content or contain viruses. 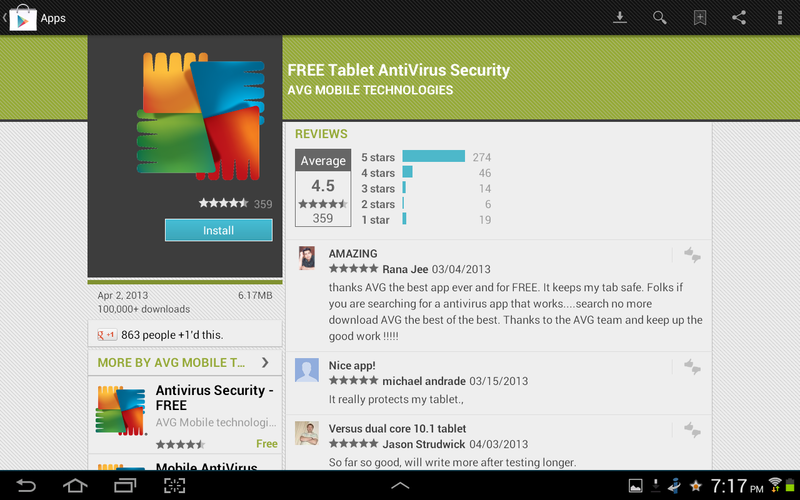 Before installing an app check out the apps rating and read the user reviews. You may want to stay away from apps with a low rating along with sub par user reviews. After checking out the ratings and reviews verify the permissions to make sure the app isn’t requiring access to parts of the system that it doesn’t need. You may want to avoid installing apps asking for too much permission. Apply updates as soon as they become available. Android devices will display notifications when updates are available, and checking the Google play store for updates can be done anytime. Updates can not only improve functionality of an app, but updates can also plug security holes or fix known vulnerabilities. 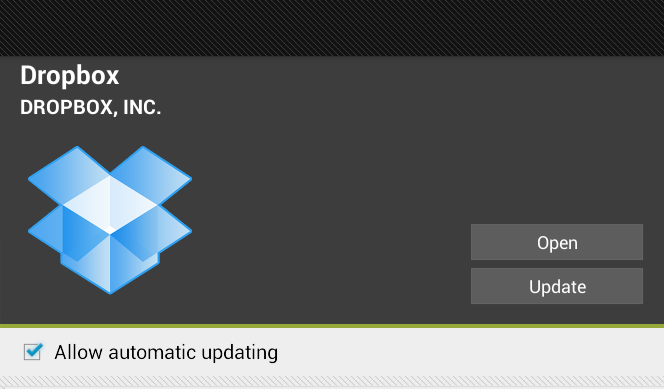 Many apps have a check-box setting for automatic updating. Just like your home computer comes pre-installed with software your Android device will have pre-installed apps, and any unwanted apps should be removed. Any app you install then decide you don’t like or don’t use should also be removed. The result from removing unwanted apps is the device will be faster, more secure, and improve battery life. When it comes to software security Krebs on Security has three great rules to follow. If you didn’t go looking for it, don’t install it. If you installed it, update it. If you no longer need it, get rid of it. Your Android device should have security software to protect the device exactly like how your home computer has antivirus to protect it. Security software can prevent malicious apps from being installed, protect the device when visiting an infected website, encrypt files stored on the device, and wipe the device if it is lost or stolen. Many of the major security vendors offer security software for Android, and a quick search of the Google Play store will display dozens of options. Connecting to a free wi-fi hotspot may save your data plan, but wi-fi hot spots don’t offer much in the way of security. Only connect to wi-fi networks you know and trust, and if your logging into a sensitive site such as online banking wait until your on your home network that you know is secure or jump back on the cell network. You can read an earlier post from my blog for more information to protect yourself on free wi-fi. Thanks for visiting and reading my blog and please leave any comments or questions below.